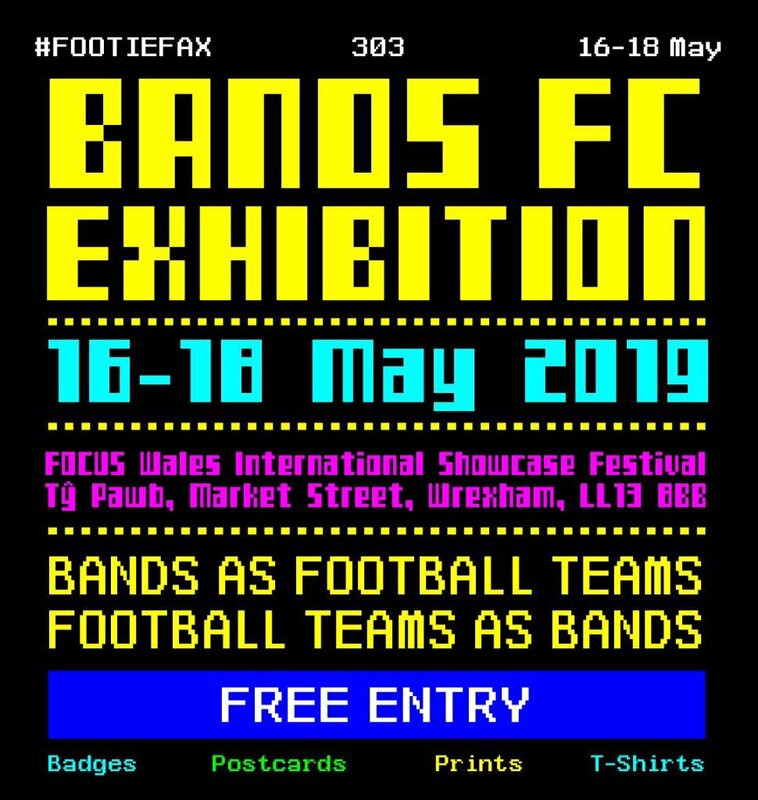 Bands FC' first ever exhibition in Wales will happen at FOCUS Wales 2019 in Wrexham this May! What is Bands FC? The idea is a simple one, that came to us one evening back in July. Bands as Football Teams, Football Teams as Bands. We now have over 400 badges, working with friends and guest designers, setting up an exhibition at The National Football Museum in Manchester, becoming the proud sponsors of Brinscall F.C. Juniors boys’ and girls’ teams and helping Frightened Rabbit to raise a lot of money for the charity that they are setting up in Scott’s name. We are by no means done yet and our plans are getting bigger and bolder by the second.